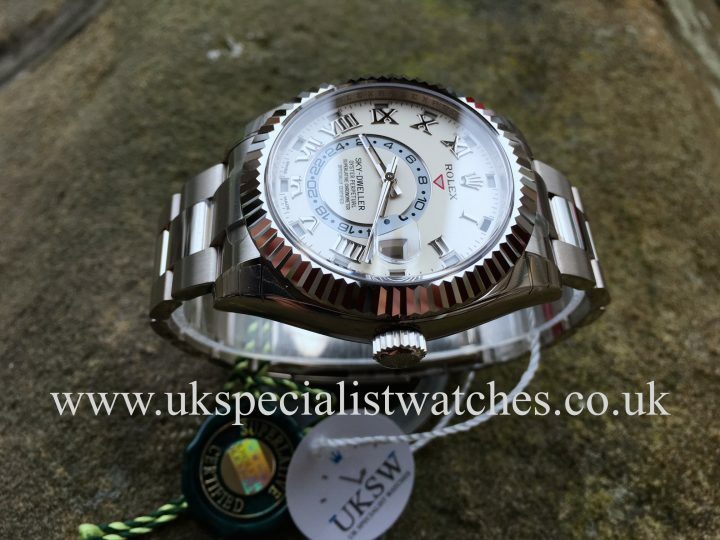 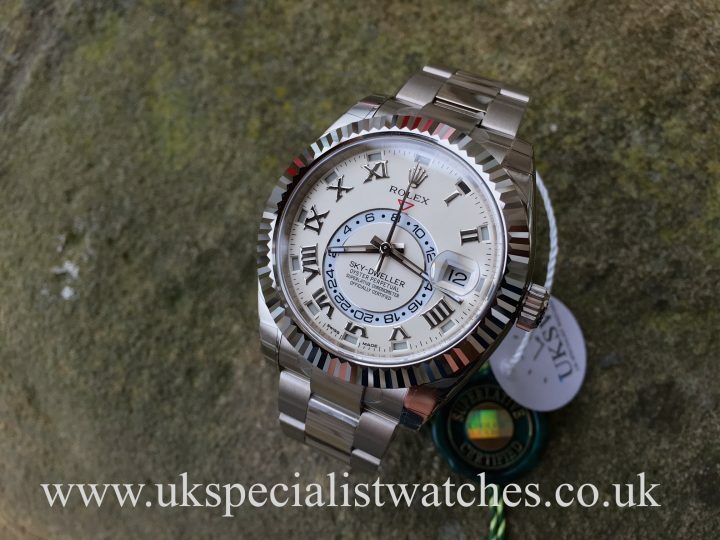 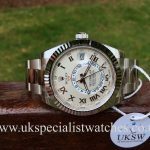 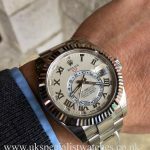 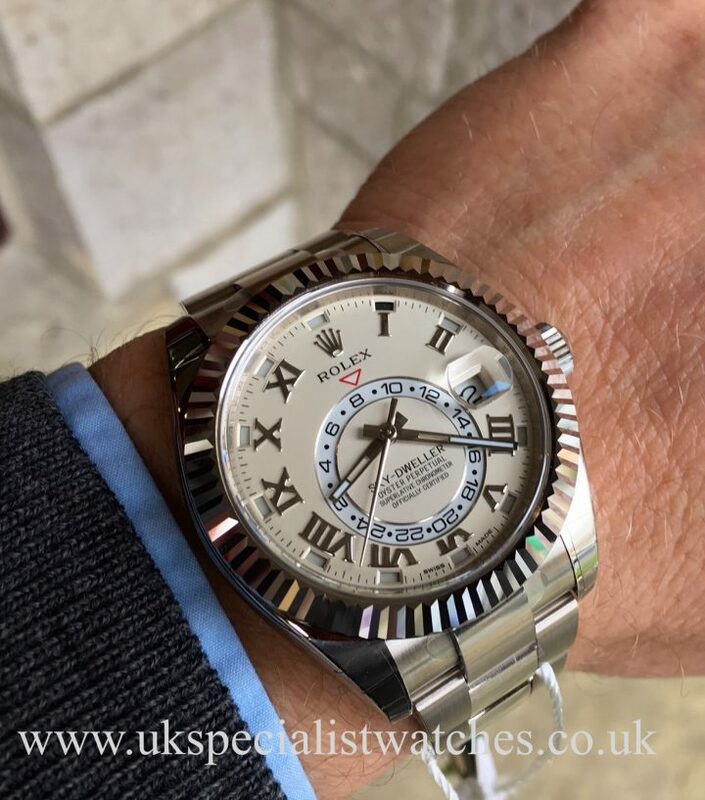 2016 Unworn / Unused Rolex Sky-Dweller with a 42mm solid 18ct white gold case, handmade crisp ivory dial with 18ct White gold Roman numerals, solid 18ct white gold Fluted bezel. 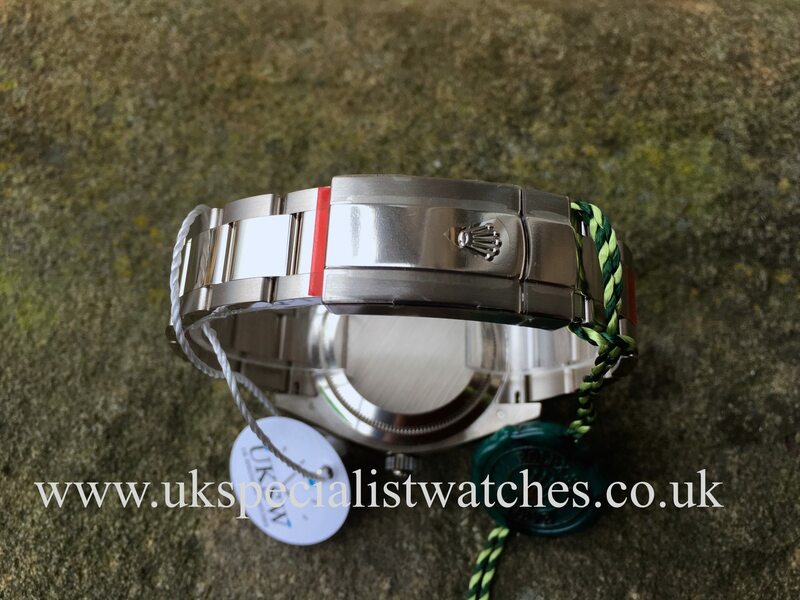 Fitted to an 18ct white gold Oyster bracelet with double folding clasp and powered by an automatic 9001 movement. 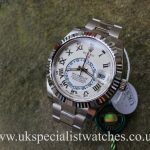 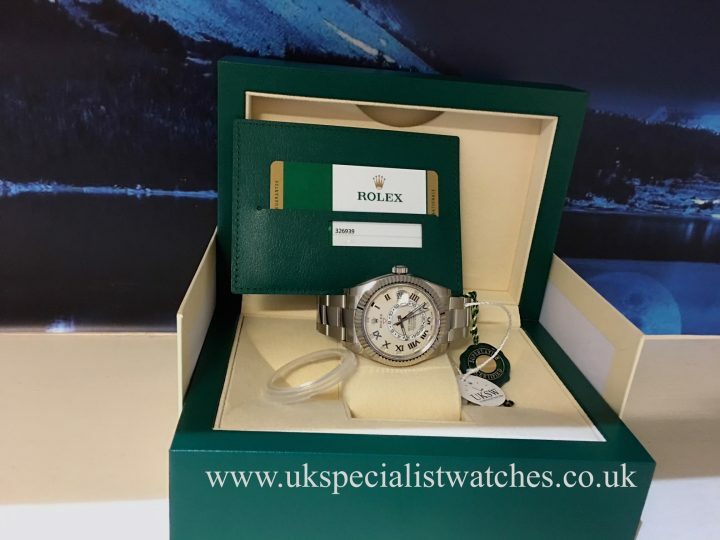 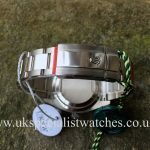 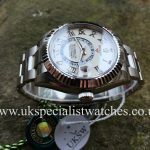 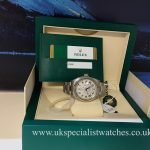 Our Unworn example comes complete with all original boxes, stamped warranty card, swing tags, all case and bracelet stickers still intact and the Rolex 5 year International Warranty. 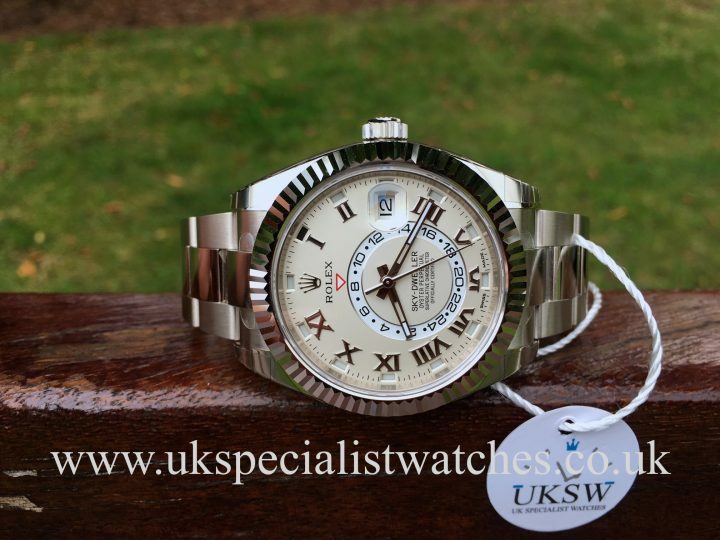 Costs new today £35,850!